Prayer ceremonies were held at home and abroad to observe the anniversary of Cyclone Giri that slammed into the coast of western Burma's Arakan State on the 22nd of October 2010. The ceremonies were held in Kyaukpru and Taungok in Arakan State and in Mae Sot and Phukhet in Thailand. U Aung Marm Oo, the director of the Arakan Human Rights Organization, said a prayer ceremony was held in a Buddhist monastery in Maepa Village in Thailand’s Mae Sot in order to make people more aware if what had happened during Cyclone Giri. 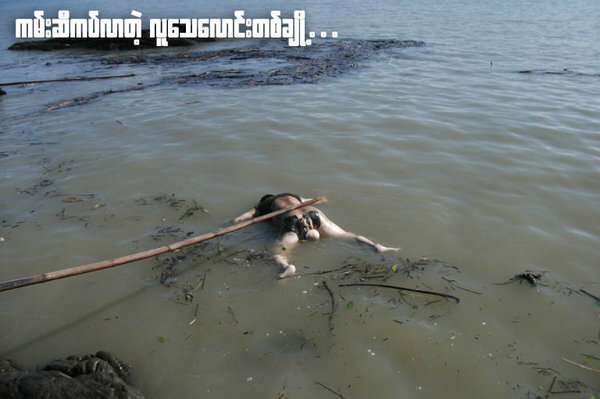 “We hold this ceremony especially to draw attention from the ethnic Burmese community as well as from the international community, and to make them aware of what really happened during that cyclone in Arakan State”, said Aung Marm Oo. Attendees at the ceremony lit candles and prayed silently for a while according to their various religious faiths, for those who were killed and affected by the cyclone, and then speeches were given. 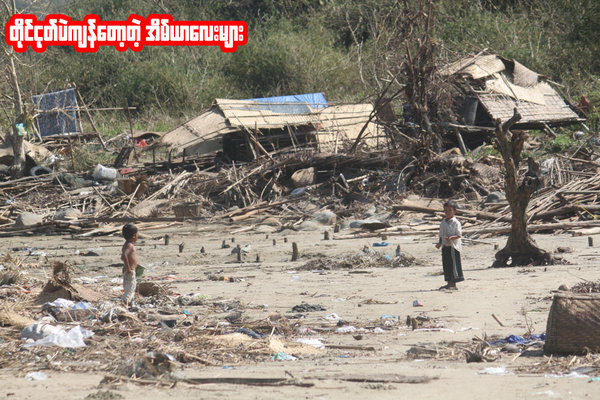 U Khine Oo Maung, the director of a migrant school on the Thai-Burmese border, said the natural calamity came as a result of damaging the natural environment, in his speech at the ceremony. 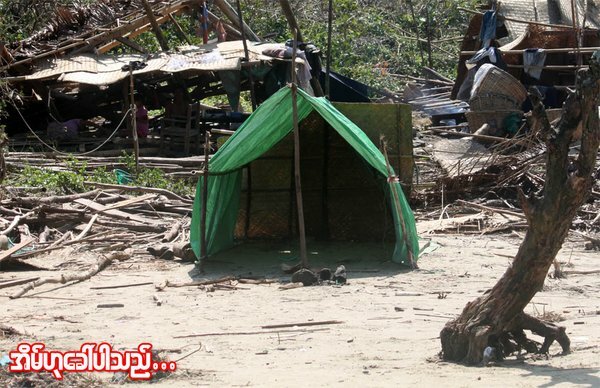 “Natural disasters were very rare in our childhood in Arakan State, but they are now quite frequently occurring because the natural environment that was a natural shield to such disasters has been badly damaged due to the greedy exploitation of natural resources by the Burmese military dictators in our region”, said Khine Oo Maung. U Shwe Nhin, a Karen freedom fighter and headmaster of the migrant school, also spoke in the ceremony and said that he prays every Sunday and would continue his prayers, hoping that all people in Burma will be free from natural disasters and oppressed lives, and for peace and development in the country. Videos and slideshows of photos from the Giri affected areas were presented in the ceremony in Mae Sot and over 120 people, including representatives of the Arakanese and other ethnic organizations, individuals and migrant workers attended in the ceremony. A prayer ceremony was held in memory of the Giri Cyclone by the Laywady Arakanese Social Organization in Phuket in Thailand as well. “We hold this ceremony to mourn and pray for those who were killed and badly affected by Cyclone Giri on this day last year," said Ko Soe Myint, the president of the Laywady Organization. Mourning and prayer ceremonies were also held on the anniversary of Cyclone Giri in Kyaukpru and Taungok in Arakan State. 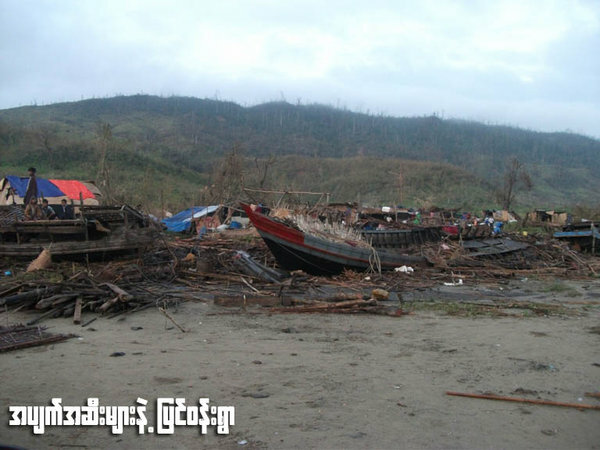 Cyclone Giri hit hardest on the townships of Kyaukpru, Mraybon, Pauktaw and Ann in Arakan State on 22 October 2011, leaving nearly 100 people killed, 70,975 peoples homeless and over 2, 60,000 affected. 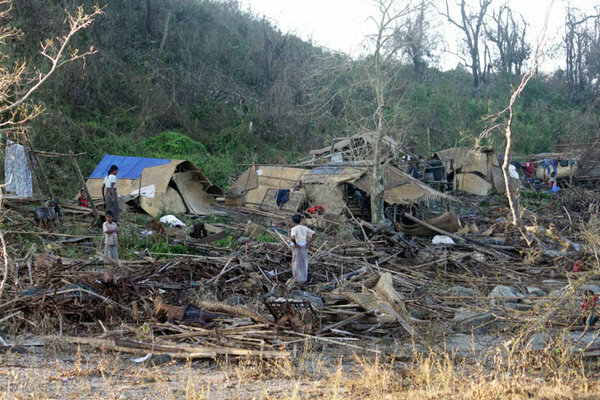 Australia is providing emergency assistance to the people of Burma in response to the damage caused by Cyclone Giri, which struck the Rakhine State on 22 October. 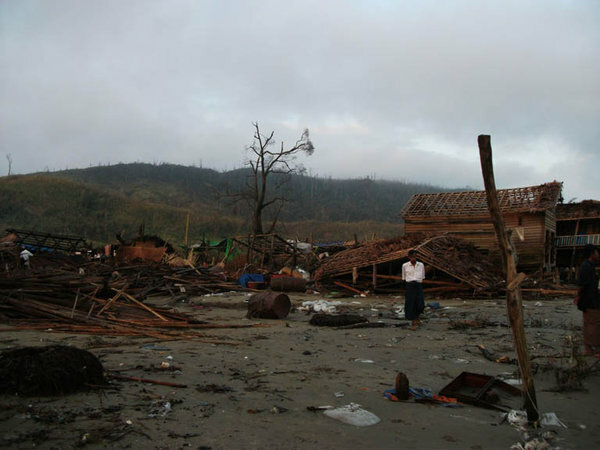 The cyclone killed 45 people, with estimates of at least 260,000 Burmese severely affected. There has been widespread damage to houses, crops, schools, roads and bridges. Foreign Minister Kevin Rudd said that Australia will provide $3 million in assistance to help affected communities and families recover from this disaster and provide essential food, shelter, clean water and sanitation. An immediate $200,000 was provided last month through the Australian Red Cross, and the further $2.8 million announced today will be delivered through the United Nations World Food Programme and Australian non-government organisations, CARE Australia, Save the Children Fund, Oxfam Australia, Burnet Institute and the Australian Red Cross. "Australia's funding will help those left homeless and in need of food and emergency supplies," said Mr Rudd. 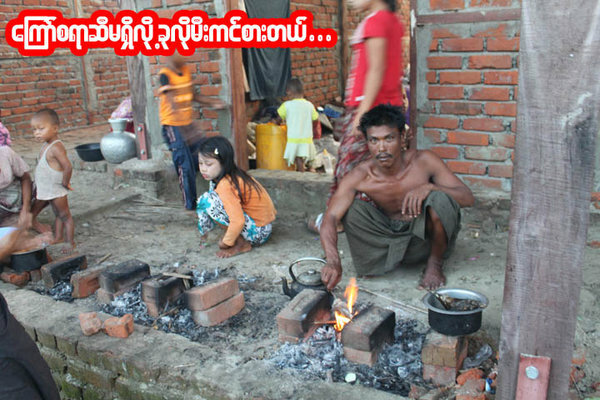 Mray Bon: A teacher who was selected to serve as a polling booth officer was dismissed from his job by high authorities after he traveled to his native village to attend his father's funeral during the election period, said close friend of his. He said, "His father died during Cyclone Giri. He went to his native village to attend his father's funeral without permission from the authorities in the education department. Because of this, the authority fired him from his job." 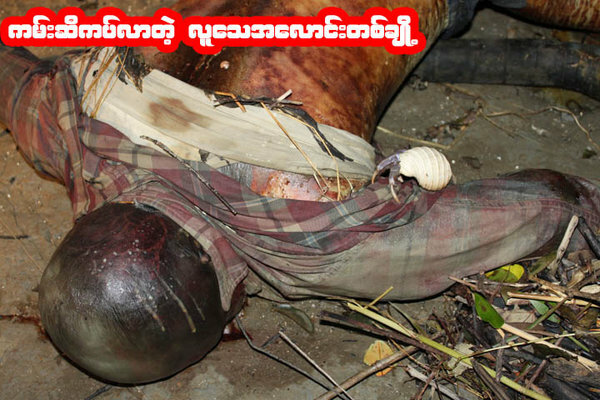 The teacher who was fired is U Ba Hlaing, who was serving as a teacher at a primary school in Phone Nyo Late Village in Buthidaung Township. His father, U Hla Maung Tha, died tragically in Htoo Chay Village in Mray Bon Township when the cyclone struck the Arakan coast on 22 October. 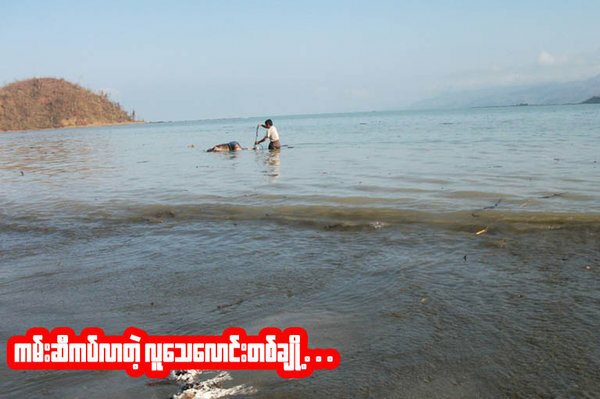 "He requested permission from the authority in the education department in Buthidaung Township to attend his father's funeral, but the authority refused permission because he was a polling booth officer assigned to supervise the polling booths on election day. He went to his village to attend his father's funeral against the authority's prohibition. Later he was fired from his job by the high authority," he said. According to the source, the education department of Buthidaung sent a letter to him explaining that he was fired from his job for failing to follow the authority's instructions. The Burmese military junta will hold the first election in two decades on 7 November, 2010, amid international criticism that the polls will not be fair or free. Many government servicemen have been appointed as polling booth officers. 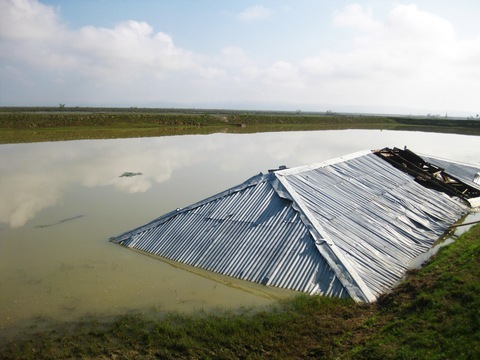 "The winds that hit these islands were over 200 km an hour and in many of these places there was a tidal surge of about 10 feet," said Andrew Kirkwood, Save the Children's country director in Myanmar. 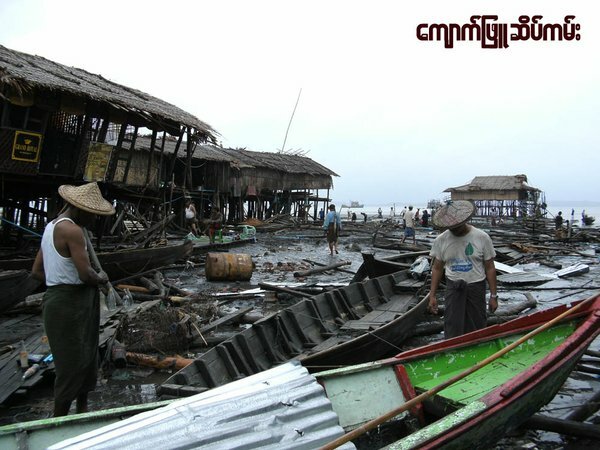 "Fishing boats have been sunk and paddy fields have been inundated with sea water. Houses have either been blown or washed away. Over 300 schools have been destroyed. It's left a huge wave of destruction behind." 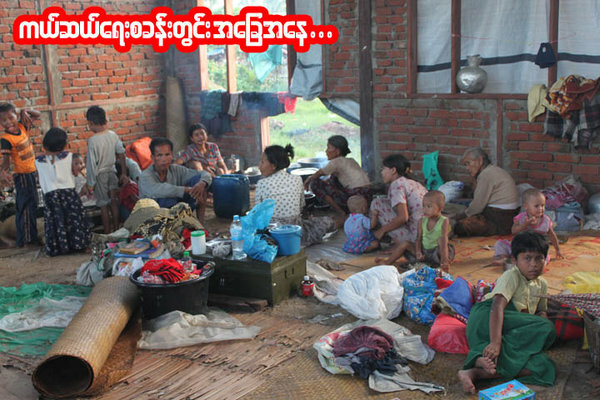 The official death toll in the hardest hit townships of Kyaukpyu, Myebon and Pauktaw was 45, though 200,000 are in need of emergency food supplies, such as rice and beans, and probably will be for the next three to six months, he said. 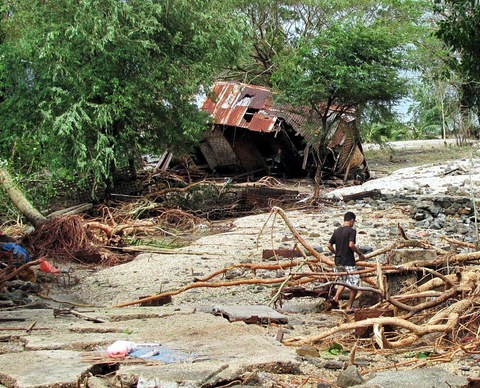 By comparison, the country's last major cyclone, Nargis, which struck the Irrawaddy Delta in May 2008, killed an estimated 130,000 people. Children take shelter in a monastery. There were major differences between the two cyclones, including an early-warning system for Giri. Radio and television announcements -- and in some cases people walking around with megaphones -- alerted residents to the approaching storm. In addition, while the intensity of both storms was similar, the delta where Cyclone Nargis hit is very flat, whereas Giri's path was over hilly terrain, giving people a chance to get to higher ground, Kirkwood said. 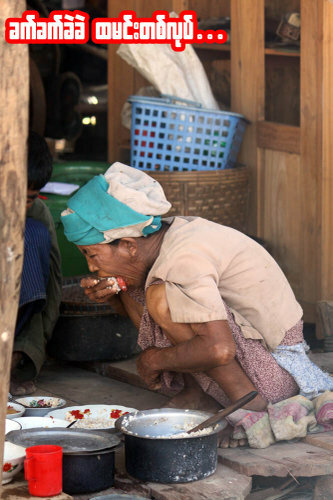 Another difference was in the response of Myanmar's government, which was criticized in 2008 for being too slow to let international aid workers into the country. Kirkwood said the government was much better prepared this time, and his staff received good help from local authorities. They also didn't need to fly in international staff or relief shipments as they after Nargis, because the number of people affected is smaller and they can buy relief supplies locally, he said. After Nargis, people in Myanmar have a much greater awareness of safer building techniques, Kirkwood continued. "There are very simple things that people can do to strengthen public buildings and homes to make them more cyclone-resistant, including improved bracing and foundations." However, there's still very little one can do against a Category 4 cyclone and the accompanying tidal surge, he added. 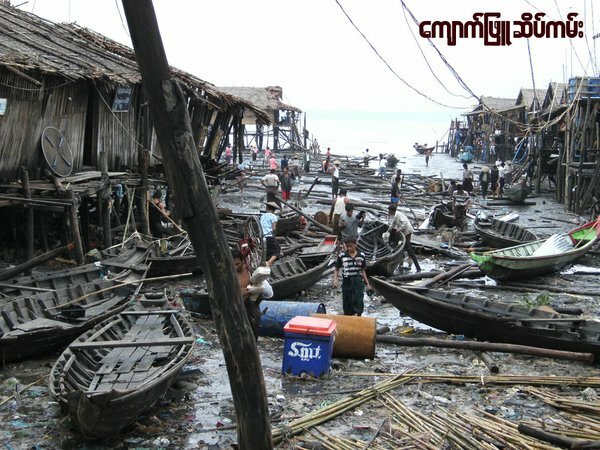 People will need to rebuild their livelihoods, including replacing fishing boats and farming tool. 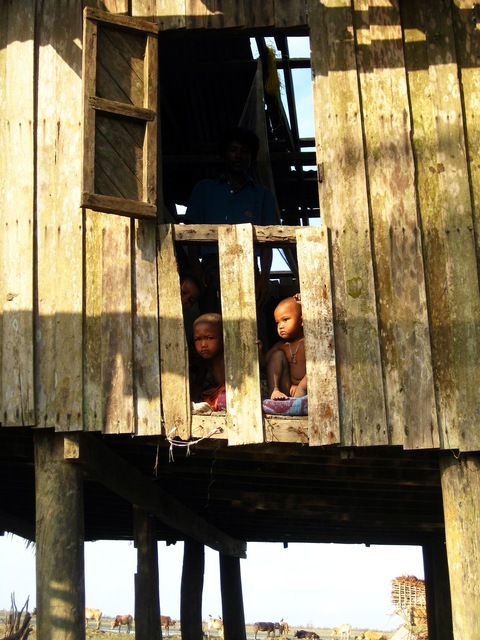 In one community the Save the Children team visited, a cyclone shelter built in 1962 had its roof ripped off by Giri. "We interviewed one man, 84 years old, who said this is the fifth major cyclone that he can remember but this is much stronger than anything that he has seen in his lifetime," Kirkwood said. See more international stories on our World View page and follow us on Twitter.